NHS England says three eye and ear conditions should be treated with over-the-counter (OTC) products from pharmacies. So what advice can your counter staff give to these patients? 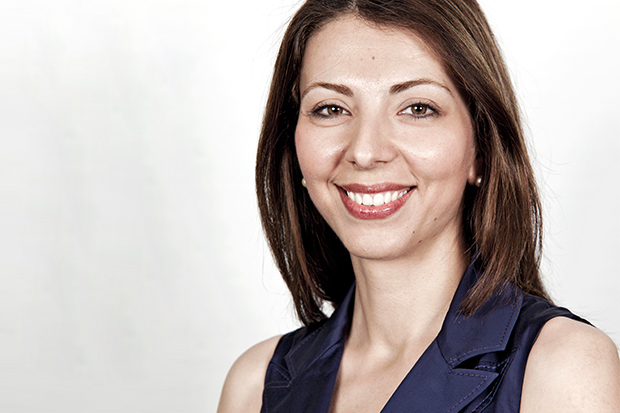 Guidance published by NHS England in March advises GPs to “curb prescribing” of OTC treatments for certain conditions. Instead, it wants GPs to encourage these patients to manage their ailment themselves, which it estimates “may save up to £136 million, once all discounts and clawbacks have been accounted for”. The 35 conditions (see the full list here) “lend [themselves] to self-care”, as they are considered “self-limiting and so do not need treatment, as [they] will heal or be cured of [their] own accord”, the commissioning body argued. Three of the conditions are common complaints that affect the eyes and ears: conjunctivitis, dry eyes and earwax. So what advice can your counter staff offer these patients? According to figures from the NHS Business Services Authority, the annual net ingredient cost of prescriptions for conjunctivitis treatments is £500,000 – before any discounts, dispensing costs or fees are applied. Ms Hannbeck advises staff to draw out information about the common symptoms: watery eyes, a gritty sensation or feeling like there is something in the eye. Staff should ask: What are the symptoms? How long have you had them? Can I have a closer look at your eye? “This will help establish if it’s a bacterial infection – in which case there will be a sticky discharge on the eyelids – or allergic conjunctivitis, which will make the eyelid red, raised, and itchy,” Ms Hannbeck says. “There are antibacterial eye drops that can be bought over the counter,” she says – although NHS England recommends these in severe cases only, and they will not be effective if the condition is caused by a virus or an allergy. 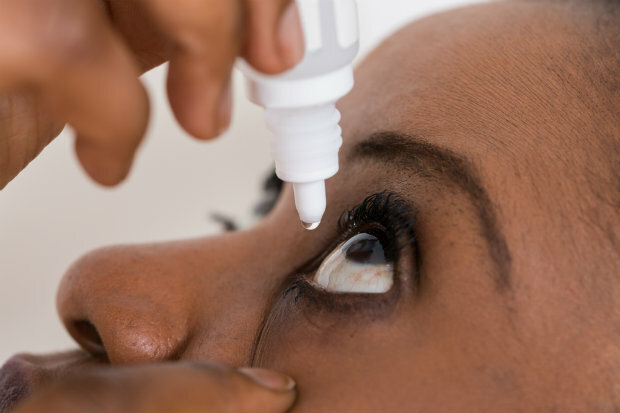 NHS England recommends anti-allergy medications such as antihistamines for allergic conjunctivitis, and sodium cromoglicate is licensed for this use. “But conjunctivitis can clear within one or two weeks with good self-care, and does not always require an antibiotic,” Ms Hannbeck adds. For more information on when conjunctivitis patients may need antibiotics, NHS England suggest visiting the relevant National Institute for health and Care Excellence (Nice) medicines evidence commentary here. The annual NHS spend on products for dry eyes is nearly £15m – which Ms Hannbeck says is due to the condition becoming more common, because of the amount of time we spend using computers and devices with screens. “Something to recommend is a warm compress, which can be helpful for people who use contact lenses that can dry the eyes,” she explains. “The general advice is, if possible, to use screens for a shorter period, or take regular breaks to avoid prolonged use. 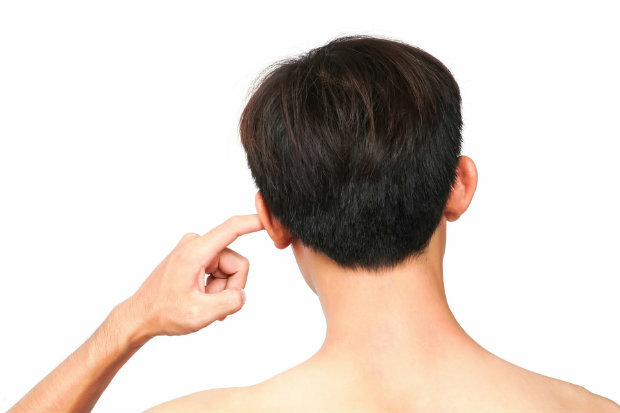 The NHS spends £300,000 a year on products to remove build-ups of earwax. But, Ms Hannbeck explains, “this is a condition that is very easily managed with products that are available in community pharmacies”. Clinitas Soothe Multi is a preservative-free eye drop which offers “rapid and prolonged relief from dry-eye discomfort”, manufacturer Altacor says. It contains 0.4% of a natural lubricant, sodium hyaluronate – the highest concentration available on the market. Its formulation is dual-acting, “boosting and stabilising the tear film that coats and protects the eye”, Altacor says. The company says the product “provides rapid relief, stays in the eye for long-lasting comfort, is non-toxic and is generally suitable for contact lens wearers”. A 10ml multi-dose bottle of Clinitas Soothe Multi retails for £9.35. The Clinitas range also includes Clinitas Soothe (£6.95 for 20 x 0.5ml) and Clinitas Hydrate (£4.24 for 10g). Sanofi has made both the 5ml and 10ml bottles of its Opticrom hayfever eye drops available again in pharmacies this summer. Opticrom Hayfever 2.0% Eye Drops “bring fast-acting relief to start soothing and relieving redness, itchiness and irritation in as little as two minutes”, Sanofi claims. The active ingredient sodium cromoglicate “helps relieve symptoms by reducing the release of histamines, the cause of the symptoms of hayfever eyes”, it adds. 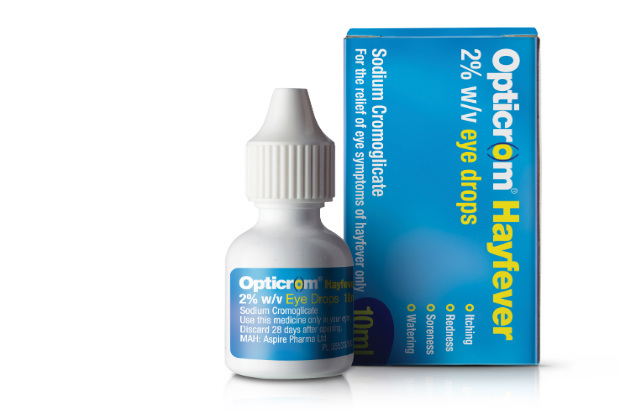 Opticrom Hayfever 2.0% Eye Drops retail at £4.70 for a 5ml bottle and £5.74 for 10ml, for adults and children over six years. 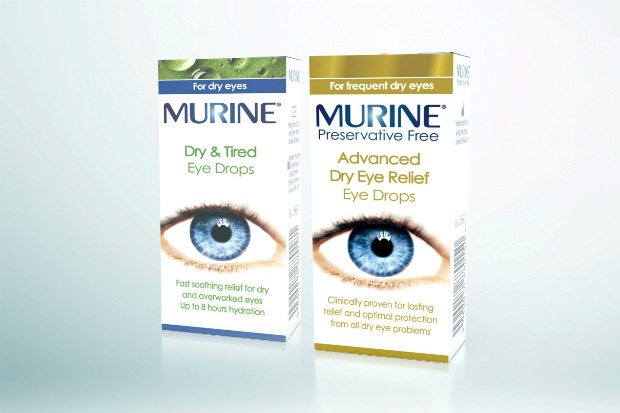 Murine Dry & Tired Eyes has been relaunched as a medical device, “with a new improved formulation providing up to eight hours of soothing comfort”, its manufacturer Ceuta Healthcare says. The drops – which retail for £4.07 – “contain two lubricants in a liquid gel which helps them stay in the eye for longer, and provide fast-acting relief and daily protection for dry eyes”, Ceuta adds. Pharmacies can also order Murine Advanced Dry Eye Relief, “a clinically proven preservative-free formulation that provides immediate, long-lasting relief and protection for dry, irritated, itchy or strained eyes”, the company says. The sterile hypotonic eye solution contains sodium hyaluronate at a concentration of 0.15%, which is “suitable for all dry eye sufferers, including wearers of all types of corrective contact lenses”. The drops retail for £10.99. Are your counter staff aware of NHS England's OTC guidance? I've honestly not seen that much of a difference in my stock holdings for OTC items, so I'm not sure convinced how much effect the guidelines are having.